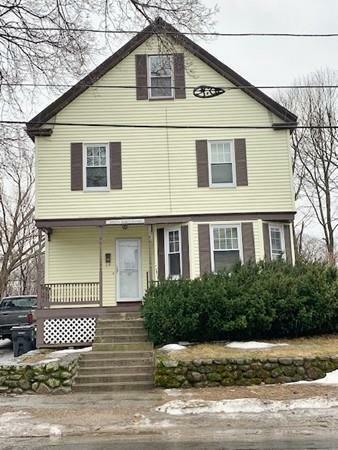 Spacious Colonial - Featuring 4 bedrooms, 1.5 Baths. Hardwood floors throughout the first floor, updated kitchen with newer appliances, granite countertops, fenced-in yard, walk-up attic, partially finished basement, oversized deck, sliders off the kitchen, breakfast bar, vinyl siding, newer windows, new carpets in all the bedrooms, full bath with ceramic tile and jacuzzi tub. Call today for your private showing.